a soaring adventure combined with a hair-raising mystery. Where to begin with this book, except to say that I have enjoyed this series immensely. I know some of you are looking at this and saying UGH, Middle Grade Fantasy but this is so much more than your run of the mill Middle Grade anything. This book will have you completely enamored with the world and the characters, even down to the heroic, lovable, gigantic bat Hades. 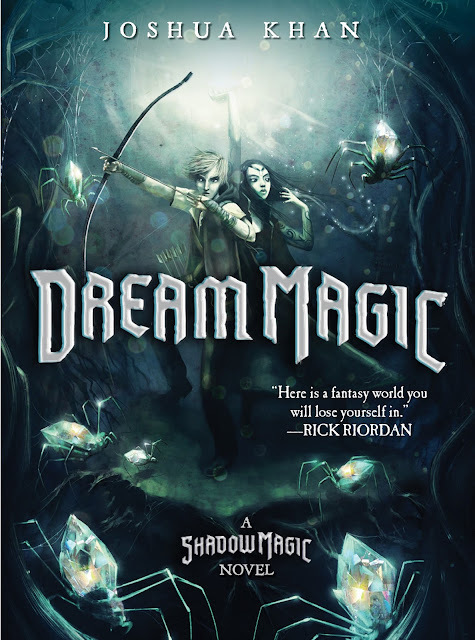 Dream Magic is the second book in the Shadow Magic series and is a fantastic addition to the Shadow Magic realm. I am absolutely lost enthralled with this world and these characters. Lily's strength, her wit, her desire to do what is right for her land and people. She's a 13 year old girl thrust into an almost impossible situation but she faces each new challenge with her head held high and the knowledge that while she may fumble things every now and again she is doing all she can to be everything her people need. She is putting aside her childhood to lead and to lead with grace, honor, and dignity...or at least as much of all that as a 13 year old girl can. Thorn...oh Thorn, he is the epitome of a hero. He comes from nothing (though I have to wonder how true that will be in the end), he is brave, he is a bit brash, he is daring and more than occasionally reckless. He jokes of things like honor and station but he continually proves his honorable traits by caring for a land that is not his home, a people that do not always acknowledge his worth, and saving time and time again those that are well above his 'station' in life because he cares. I love Lily and Thorn together as well, they are clearly still children yet we watch them battle with more than monster, we see them battle with growing 'teenage' feelings and Joshua writes it in such a way that while it is simple looks, jokes that aren't really as much of a joke as the parties might want the other to believe, and deep concern for each other. The friendship and possible budding 'relationship' between Lily and Thorn is not a huge part of the book and yet it is, it's this little teaser that readers will love because we so want these two to be happy and in the end we want them to be happy together. It is a beautiful bit of romance for a young reader who is just now finding that maybe boys and girls aren't so gross after all. As if Lily and Thorn aren't enough I dare you to not fall in love with Mary, Tyburn (though you really need to go back to Shadow Magic for more of him), Wade, Hades (gah, that lovable bat who reminds me of Toothless! ), the zombies...yes ZOMBIES, and all the secondary characters, even the evil ones. Joshua's world and character building are fantastic and will have you wanting to live in Castle Gloom even with Jewel Spiders and a villain that you can't help but hate and feel a bit sad for terrorizing Gehenna. The action and adventure are constant, making you keep turning pages until you realize that you haven't moved for three hours and you're almost done with the book, which means of course you have to stay there until you are done. It kept me...MOM, completely engrossed and younger readers will be absolutely enthralled. 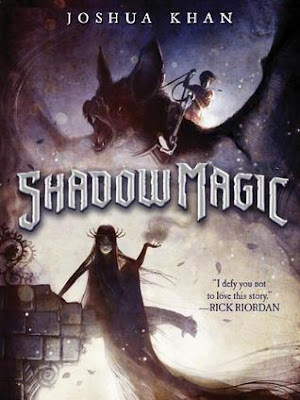 This may be a Middle Grade book, but it is a fantastic read for any Fantasy book lover. I suggest reading from book one, as I always do, but it isn't a must. 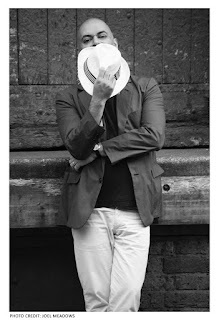 You won't be completely lost, but you will have missed out on a bit of history about the characters and you won't have met Tyburn properly, which everyone must do to understand Thorn better. I am so excited that there will be a book three, I have so many hopes for this series and I can't wait to see if they work out and what happens next because honestly in this world, anything could happen! These books are a must for any middle grade class room in my opinion. You will have so many of your readers scrambling to get these books in their hands you may even want two sets. My 11 year old who is a huge Lord of the Rings and Hobbit reader (I can't even tell you how many times she has read those now...they are her version of my Pride and Prejudice addiction) is in love with this series, so I know if you have any fantasy reader in your house you will want these on your shelf! Don't Forget to read the first book!